I'm so glad so many of you enjoyed my second attempt at a 1960's flip. I found a lot of information and inspiration for a little guidebook that I found on ebay. After reading through the book I also discovered that there are many vintage Dell Purse Books available and if you can ever acquire one I hope you do. They are mini books of oodles of information and compact enough to put into your purse, hence the name. So far I have only seen them from the 1960's to the early 1980's but I love them! 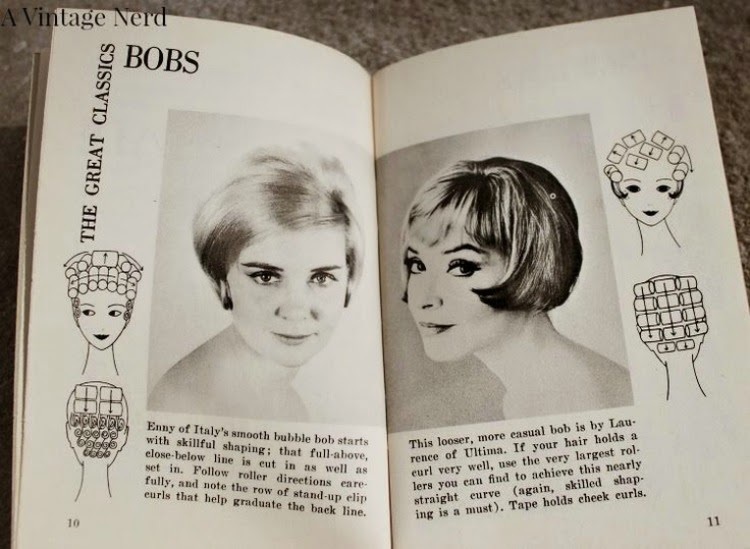 This particular book is from 1963 and included 75 amazing hairstyles. 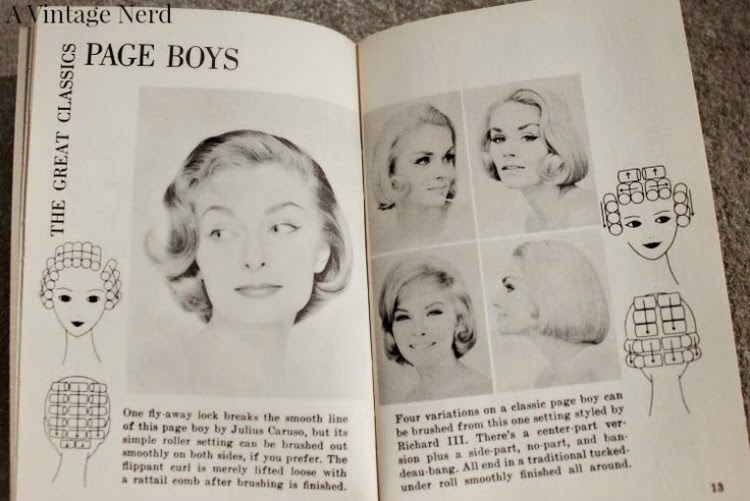 The best part is that the book also gave images of each hairstyle and diagrams on how to set your rollers to achieve that style. Now how neat is that??!! The first eight or so pages tells you how to care for your hair, what tools you need to achieve the looks, and what makes a great hairdo. Its little things like that I find so charming about vintage magazines, just the abundance of guidance. 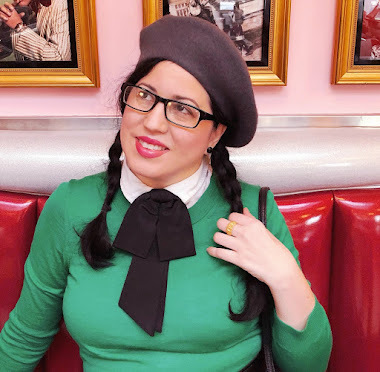 You can almost sense that those who put together the magazines and guidebooks in the past wanted you to look your best and achieve your best look. 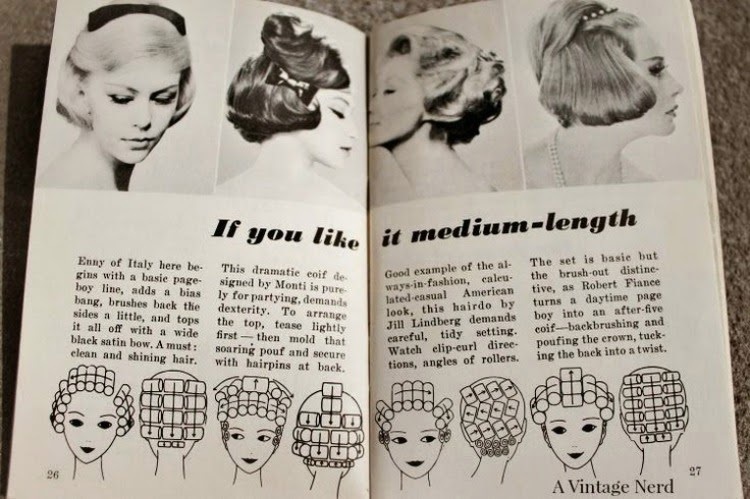 The last pages of the book showed how to set you hair and how to put the rollers in your hair. I loved it because it broke it down so simply. 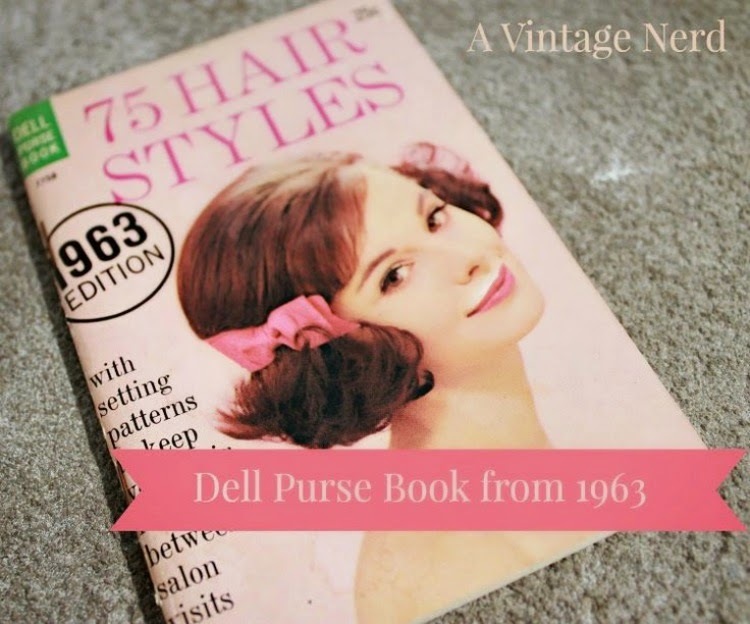 I hope you enjoy some of the pages of my 1963 Dell Purse Book, tomorrow I will share the final and most fantastic tips the book gives. I think you will have a hoot reading through them! What wonderfully pretty styles! I especially like this early 60s take on the pageboy. That would be my first choice if I was going to sport one of these 'dos. What a great little book! Like Jessica I love the early 60s pageboy styles - so chic. oh! how cute! i just love all the little illustrations. these little books are so much fun. i have one similar, although i do not think it is the same brand and its from the 1950s. i found it in some auction stuff onetime. so helpful!